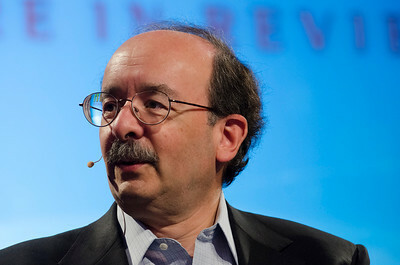 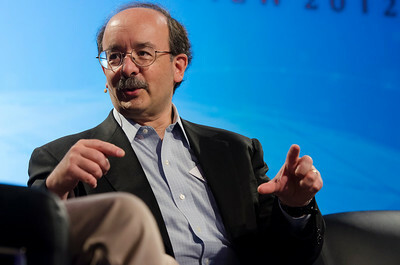 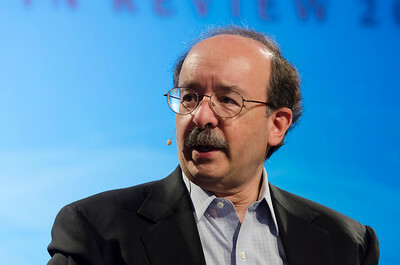 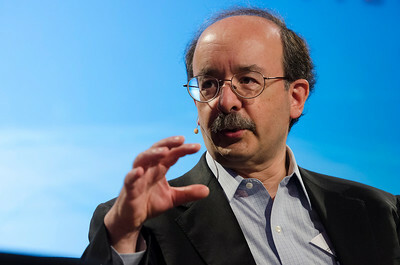 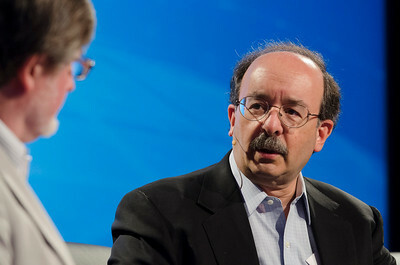 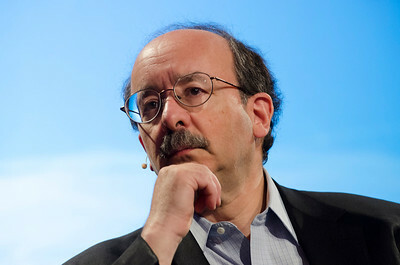 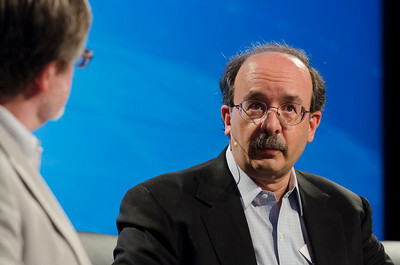 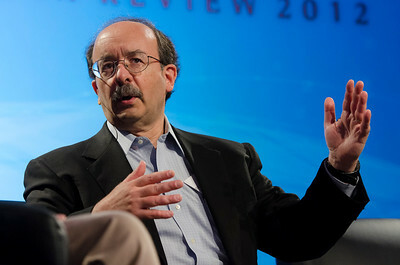 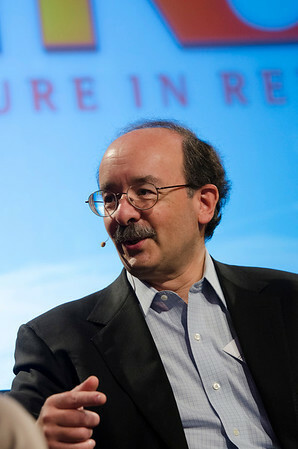 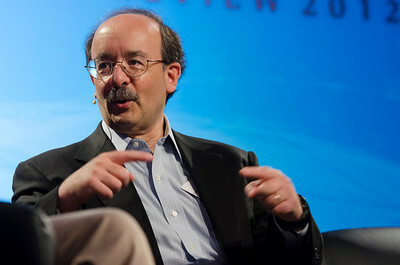 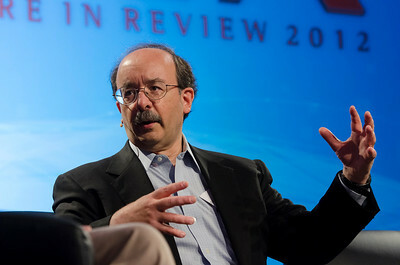 "Reinventing Fire: Selecting a Preferred Energy Future": Host Scott Foster (L; Senior Analyst / Sustainability, BNP Paribas [Japan]); with Amory Lovins, Co-Founder, Chairman, and Chief Scientist, Rocky Mountain Institute. 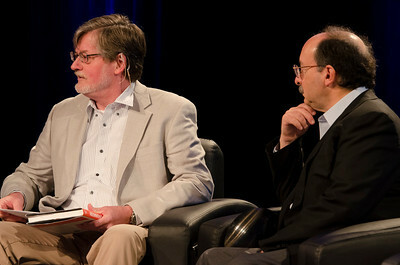 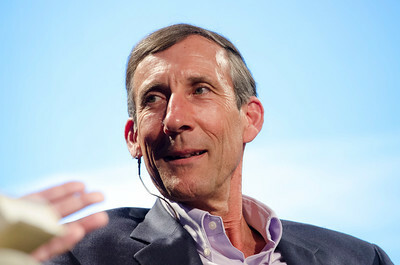 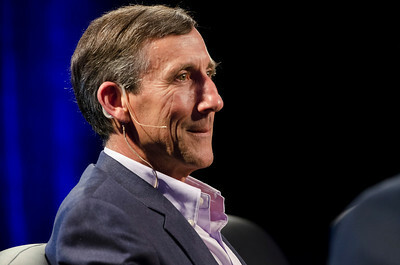 May 22-25, 2012: At the Montage in Laguna Beach, CA, 200 thought leaders - high technology engineers and executives, entrepreneurs, scientists, and media professionals - gathered for 3 days to participate in FiRe X, the 10th annual Future in Review conference, presented by the Strategic News Service and led by SNS founder and technology visionary Mark Anderson. 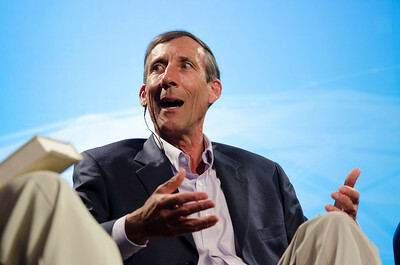 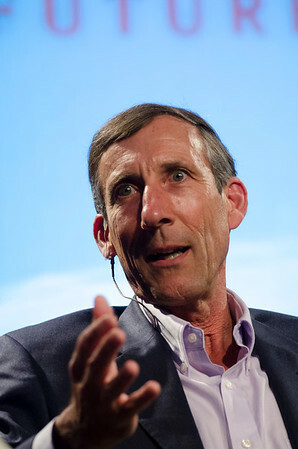 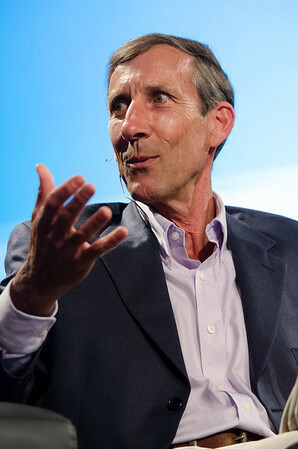 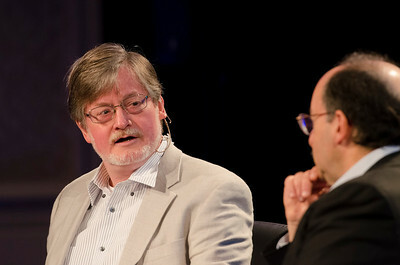 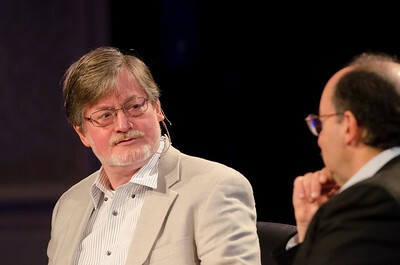 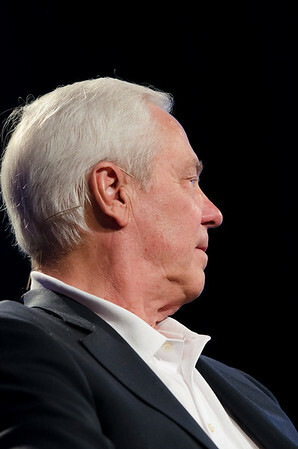 Interviews, panel discussions, and informal conversations ranged from IP protection to CO2 and climate change, new healthcare paradigms, global economics, ocean toxins, robotics, documentary filmmaking, medical diagnostics, technology solutions for social issues, global economics, mobile computing, and tech solutions to human trafficking and aging with dignity. 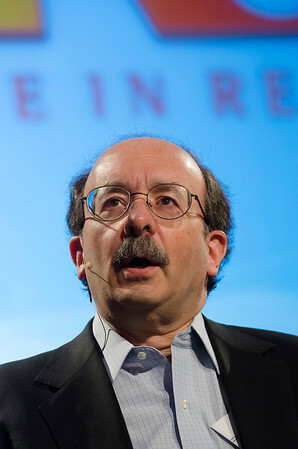 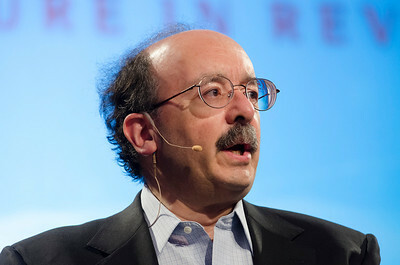 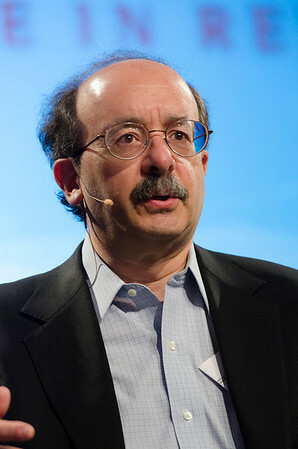 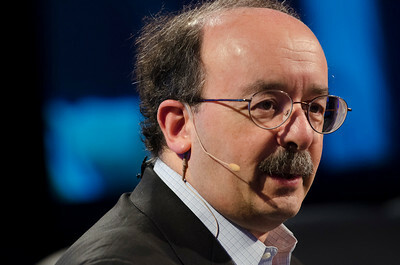 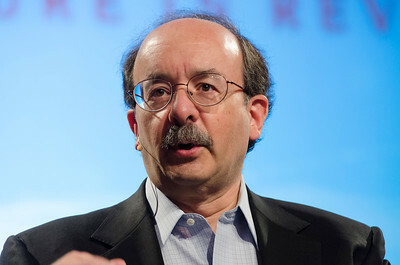 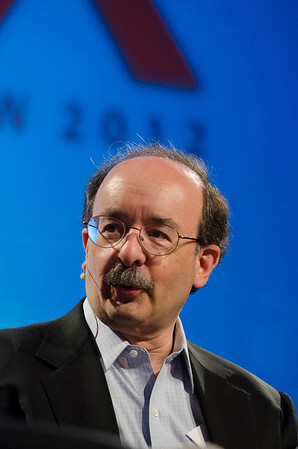 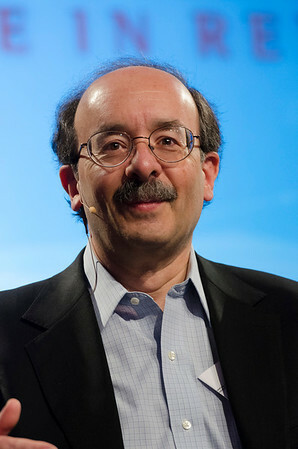 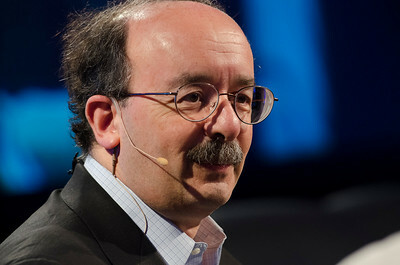 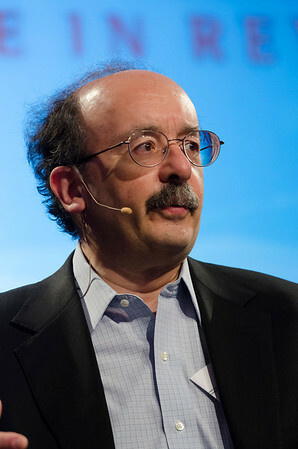 "Reinventing Fire: Selecting a Preferred Energy Future": Amory Lovins, Co-Founder, Chairman, and Chief Scientist, Rocky Mountain Institute. 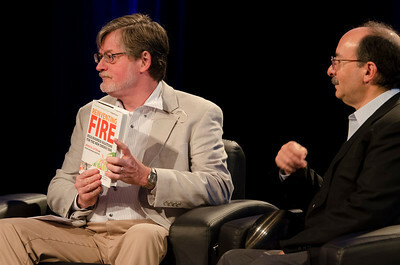 May 22-25, 2012: At the Montage in Laguna Beach, CA, 200 thought leaders - high technology engineers and executives, entrepreneurs, scientists, and media professionals - gathered for 3 days to participate in FiRe X, the 10th annual Future in Review conference, presented by the Strategic News Service and led by SNS founder and technology visionary Mark Anderson. 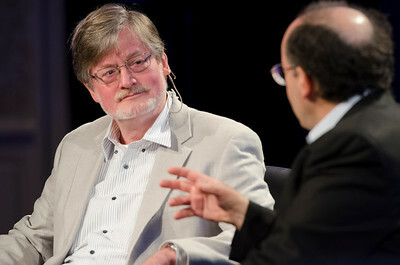 Interviews, panel discussions, and informal conversations ranged from IP protection to CO2 and climate change, new healthcare paradigms, global economics, ocean toxins, robotics, documentary filmmaking, medical diagnostics, technology solutions for social issues, global economics, mobile computing, and tech solutions to human trafficking and aging with dignity. 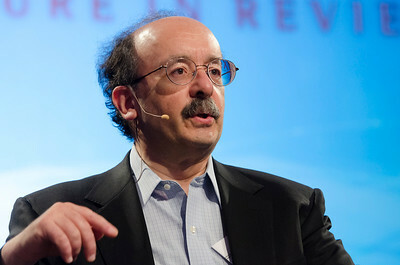 "Reinventing Fire: Selecting a Preferred Energy Future": Amory Lovins, Co-Founder, Chairman, and Chief Scientist, Rocky Mountain Institute.